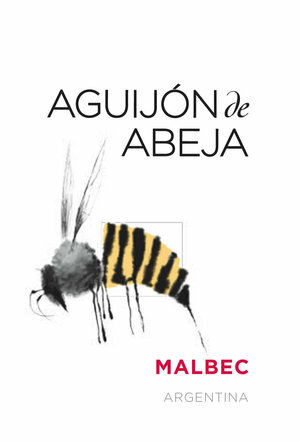 Hector and Pablo Durigutti are the winemakers behind the Aguijón de Abeja wines. Their backgrounds are quite complementary: Hector started at Alto Las Hormigas at the age of 15 and has completed 25 projects at various well known wineries, learning old world techniques and agriculture. Pablo started at La Rural, a winery now owned by Catena, and honed new world viticultural practices. The brothers started with only 3000 bottles in 2002 and production has grown steadily. The wines are organically grown and have generous fruit without excess. They showcase a New World fruit with Old World elegance, a trademark of Durigutti. The two brothers are amongst the most well known young winemakers in Argentina right now. The Durigutti brothers source their fruit for the Aguijon wines from vineyards located in three different regions, striving for the optimal conditions for each variety. All vineyards are organically farmed, and the winery uses only organic practices. The Cabernet is grown in Salta, the northern region where vineyards are planted at extremely high altitudes, often over 8,000 feet (yes, "thousand") elevation. Long, low-latitude days and cool mountain nights create superior ripeness with bright fresh acidity. the Malbec, from the cool southern region of Patagonia, is more focussed and brighter than many Mendoza malbecs, while the Bonarda from 4,500-foot vineyards in Catamarca, a northwestern province nestled between La Rioja to the south and Salta further north, is lush and ripe while retaining good acidity and freshness. After harvest, the fruit is brought in to the Familia Durigutti winery in centrally-located Mendoza for vinification and cellaring. Ageing: 8 months in oak, bottled unfined and unfiltered. Description: Ruby red color with blue hints. Spices and smoked products combined with berries. Structured wine, with sweet tannins and a soft ending. Description: Bright ruby red color. Soft, delicate nose. Aromas of herbs and ripe red fruits, with layered notes of chocolate, tobacco and cloves. A mouth of juicy tannins and fine texture. Description: Concentrated wine, with good structure. Dark red color. Nose of black pepper, spices and ripe blackberries. Velvety in the mouth with persistent tannins, balanced with a hint of acidity. Ageing 8 months in oak, bottled unfined and unfiltered. Description: Rich and juicy, soft tannins. Deep purple. Nose of plum with touches of blueberry. Long and soft with moderate acidity.